I have started work on the 60 degree version. Don has helped once again and provided some preliminary CAD drawings. A bit of work is still needed to simplify the construction and finalize the dimensions. The original DIY was a prototype designed to test the design and concept; this time I’m planning to make a “proper box” and provide some more construction details and drawings from the start. The 60 degree version will be about 20mm deeper than the 90 degree version because of the extra depth of the Eighteen Sound XT1464 horn. I may also have to make the box about 8mm wider. To offset the slight increase in size I plan to cut the back corners off. This is mostly cosmetic a should make the box look smaller from most angles. It’s likely that the 60 degree version will be used in pairs, accordingly I have done a SIM for two boxes at the AES peak power (+6 dB on the RMS rating). To do this I modelled one box in half space. I thought it would be appropriate to start a new thread which is more focused on the construction of the box unlike the original DIY Mid Hi thread – Bennett I hope that’s OK. I have provided some SIM’s using the RCF and the B&C's 12NDL76. It shows the power response (dark line) and the the SPL corrected for directivity (grey line). Are you guys working on Don's idea of removable baffles with this new 60 deg version? To convert to 90 degrees and HF950 if desired? ....because as I've been waiting for drivers and horns to arrive, I've started to see if I can use bendable plywood for the horn section (Don's parts C, B, & A). Anyway, should I be holding off trying to make a jig? It’s a real squeeze to get the XT1464 to fit. It’s the same width as the 90 degree box. The concept was a speaker on a stick so I don’t want to make the box any bigger, if I do, just a fraction. I’m not sure how to fit the speaker grills yet … suggestions???? I’m not planning to make my boxes with interchangeable front plates to accommodate different horns but I will keep that in mind as I build. If I can keep the width almost the same then you could certainly use it for either the 90 degree or 60 degree box, but finding a suitable method to attach the grills and have interchangeable front plates may be difficult. … and yes the XT1464 is 35mm deeper, but hopefully there was 10mm of spare depth in the original box so I only need to add 25mm. Thanks Peter for that 60 degree version, is the angled rear part of the cabinet mean 2 cabs splayed per side for more output. 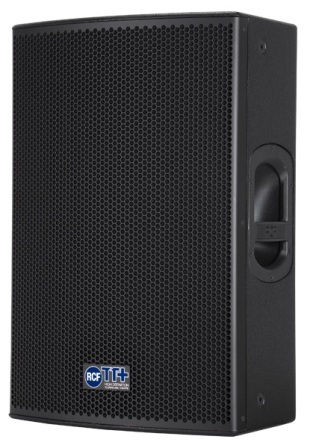 With 2 per side and a 4 stack of subs (cubo 18) will this do at least 1000-1500 inside venue (DJ playback)? Thanks! The angle is mostly cosmetic to make the box look smaller, however the plan is to make it 30 degrees, the nominal coverage angle of the box. The 60 degree XT1464 horn should be good for 2dB may be 3dB more compared to the RCF HF950. I don’t know how hard the Cubo 18’s go but I suspect what you are describing, subject to using a good high powered 18 in the Cubo’s would be somewhere near the mark. If the Cubo’s will make enough bass I suspect the DIY will keep up. Think in terms of doing slightly more than one of Danley’s SH96HO above 100Hz with 2 x 60 degree DIYs. I believe the Danley SM96HO uses 1 x BMS 4594 but crosses more like1500Hz compared to 700Hz, so as a guess the 2 x 4594s in the DIY should be similar but with more VHF output. Yes, I see the differences in getting the XT1464 to fit ......and what that implies for the front grill. Since the XT1464 is 380mm wide, and the exact same width as the PM90 (my name for your 90 degree box ), it would take a 34mm increase in width (2 x17) to get the horn to fit fully in between the sides wouldn't it? So, my thought it to say to heck with fitting the horn fully inside the sides. I'm thinking to increase width by 8-10mm and recess the edge of the horn in the side walls, with just enough side wall to be sturdy. This would mean no grill for XT1460 itself, and separate grills above and below for the 12" mouths. As I like your original goal of super speaker on a stick... trying to keep it as small and light as possible. Having said that though, if the goal is to put 2 or more boxes together, they are a lot less likely to be on any kind of stick, huh? Anyway, I figure a box deep enough to accommodate the XT1460 would pretty easily allow interchange with the HF950. So the horn baffle plate for either could have same height. The trickiest part might be getting the 950 horn plate to dovetail cleanly with the recessed sides cut for the XT. Firstly I am going to try 16mm hoop pine ply which weighs slightly less than the prototype. In addition I will make the angled corners out of 10mm ply because the unsupported width is so small. Alternatively increase the width of the box to 396mm, machine 3mm off either side of the XT1460 and route the wall of the box down to 10mm either side of the horn. Then route a step in the front edge of the box to accommodate a 1.6mm perforated / punched metal grill. It could be screwed or bolted in position also strengthening the front edges of the horn mouths. Did anyone think of the following change: 1 straight baffle for the 12" drivers and an angle in the back panels? Advantages: more space around the BMS driver, easier to build, slightly longer horn and maybe even space for an amplifier module in the back. Disadvantage: depth increases a few centimeters. Yes I looked at that option, a flat baffle for the 2 x 12” and W or curved shape for the rear of the box, I looked at every option I could think of or find on the net. … and there is no reason why you cannot do what you suggested, but my focus was building a box with a size, weight and shape that could be mounted on a stick; I wanted to be able to put a small concert level PA in van instead of a truck. There are very few boxes commercially available that can do this. As far as I am aware for its size and weight there are none that offer the performance this DIY does in terms of SPL or sound quality. To squeeze 2 x 12” horn loaded drivers and a high frequency horn into a box and have it pole mount means that weight and size become critical. At the moment I’m pushing the size and weight as far as I would like, accordingly I was prepared to accept it being a little more complex to build to save as much weight and size as possible, but I’m sure everyone’s mileage will differ slightly on where the compromise should be. You are right on with these observations. In the Sketchup version I increased the overall box width to 396mm to yield a 362mm inside width. According to the spec sheet, the cut out for the XT1464 is 362 wide. Then as you said the horn flange would need to be recessed into the edges of the sides. I am expecting a XT1464 to be delivered this week. Once I have my hands on it I'll see if that width can be reduced. I haven't found a source for the HF950 in the US yet. To have a one piece grill the box will need to be wider to allow the horn to fit between the sides. My goal is to stay as true as possible to Peter's design parameters. Of course everyone can vary the design to fit their own needs. I hope to start my build sometime this week. XT1464s came in earlier today. One thing that jumped out, that I should have seen in its drawings, is that the XT1464's mounting holes' outer edges are 362mm apart. Center to center they are 356mm. This will make trying to fasten the XT1464 to the baffle, right at the baffle's edge. And the inside edges of the 6mm mounting holes are 350mm apart.....it kinda seems to make a no-mans land for inner box width between 350 and 362mm....where fastening through the horn's mounting holes will be challenging. I don't really know how to get a t-nut, insert, or even a good wood screw securely in, right at an edge ........ideas? I'm almost thinking that biting the weight/size bullet, and making the inner width 380mm might be the way to go for the XT1464. Oh, an aside....I gave up trying the find the HF950 in the US. One thing I've learned, in doing prelim homework from your fine drawings is..........the HF950 box is much easier than the XT1464 ! Here is a PDF of the plans for the box at 396mm wide. Also if anyone wants the Sketchup file PM me with your email address. I found some nice 17.5mm plywood over the weekend so my box may vary a little. I like Peter's idea of using lighter wood where possible. Peter, if you want drawings based on your chosen width let me know, I'd be happy to work on those for you. I received the XT1464 today so I can take a closer look at how that will fit. How about using these - perhaps snug fit with a drop of glue to keep them not turning. I decided the same thing...386mm outside width, and use the two grill approach. I think i have the interchangeable horn thing figured out. I am going to let the horn baffle boards be the full 386mm width of the box, resting in cutouts in the sides. It assures I can make a pretty strong one piece baffle for the XT1464, and it lets inserts or t-nuts be anywhere they need without concern. If it works as planned, the XT1464 gets the two grills as discussed; and HF950 will sit recessed in its baffle plate, to allow a one piece flat grill for the whole box. Thanks Peter, I've been installing those inserts backwards all these years and Timo for the idea. I've come up with an idea I may try on my build that will eliminate the 10mm spacer under the 12's. If you use 17mm ply for the baffle you can route about 8mm out of the shape of the driver cut out. This leaves a 9mm thick panel. The xmax for the driver is 5.5 so even if xlim is 25% greater it shouldn't hit the face. This would hopefully allow for more room for the fit with XT1464 combo. Just a thought. Hey, rock and roll Don, good idea! In the same idea of finding 4594 to 12" driver clearance..... per your baffle routing idea (to save cabinet depth), .........I've also thought to maybe relieve what you label part C a few mm's so that the driver's circumference goes into part c a little ...so that the 12" driver spacing widens....??? And I'm wondering how strong the 12" baffle plate needs to be, since all the low freq energy is being forced through the long, round-end slot ??? If you use this approach then I would not route out the centre section. This would make it stronger and quicker. I would also use an angled router bit.